We develop innovative, clinically tested, functional food products to enrich the daily diet with innovative ingredients and formulas from our ongoing research into the benefits of cocoa polyphenols and other natural antioxidants. Cambridge Chocolate Technologies has been created to help people live healthily and enjoy the anti-ageing protection of the most indulgent form of food: CHOCOLATE. Cambridge Chocolate Technologies is a Cambridge, UK based company that develops and patents products that work from within to improve biomarkers and the physiology of our organs. Our products are based on a 70% cocoa premium dark chocolate and contain a plethora of antioxidants and bioavailable cocoa polyphenols. They are the result of 10 years of extensive independent research into cocoa polyphenols and free radicals, as well as clinical exploration and numerous trials. Over 3,000 patients have participated in our medical research and clinical tests. We have obtained five prestigious grants and awards, and have been granted two patents (for the US and the EU), and three further patent applications are pending in thirty-five countries. CCT products have clinically proven biological efficacy. We have developed a standardized production technology and superior quality control with Cambridge Technology Quality Pass. Cambridge Chocolate Technologies was founded in 2015 as a collaboration between Dr Ivan M. Petyaev of UK biotech firm Lycotec and Dr Marek Orlowski of Polish investment firm Adiuvo. In March 2015 CCT launched its first product, esthechoc, a skin health anti-ageing chocolate. Using a patented smart chocolate platform, esthechoc is the first in a pipeline of products to address key health concerns using chocolate as a functional food. CCT’s inventions are scientifically tested and proven with all products validated at laboratories in Cambridge. The company has its headquarters in Cambridge and operates a network of partnerships with research and commercial partners around the world. Dr. Petyaev is a medical doctor, researcher and author of scientific publications and inventions with applications in diagnostics, analytics, prevention and treatment of a variety of diseases. He spent his research years at MRS and Cambridge University in the Department of Pathology. To take his discoveries into innovative healthcare products he left University and set up his own company, Lycotec Limited. 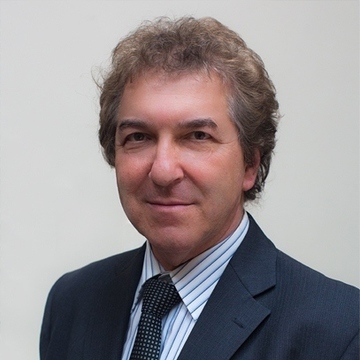 Dr Petyaev has wide experience of driving his innovations through the product development phase, clinical validation and in the setting up of industrial production of the successful prototypes. His projects have been supported by Cambridge University, the MRC, Papworth and Addenbrooke’s Hospitals, the British Heart Foundation, the Department for Trade and Industry and the Eurostars Eurica Project. Responsible for the operations at the headquarters in Cambridge. He is a Chartered Marketer and has a Masters in Business Administration, together with nearly 10 years working with nutraceuticals. Nigel is responsible for the optimisation of functional food and nutraceutical formulations. He has over 20 years of experience working in the Cambridge biotechnology cluster. Nigel Kyle, Chief Technology Officer at Lycotec - responsible for the optimisation of functional food and nutraceutical formulations. He has over 20 years of experience working in the Cambridge biotechnology cluster.